How do we find out about the history of a local area? Home > Article > How do we find out about the history of a local area? Stories or ‘oral histories’ tells us about the past through the spoken word as told by one generation to the next. It is also an important way to pass heritage on from parents to children. Some people feel that oral history is unreliable when studying history because it has not been written down. These days it is accepted as a special way to research the past. Although people’s stories change a little each time they tell it, the most important memories usually stay the same. It is possible that as the story is passed on from one person to the next over a long time that it changes completely. Oral history is passed from one generation to the next through storytelling and reciting epic poems. The poems and stories are known as the oral tradition of a group of people. If you add moral lessons and rituals that are also passed down by word of mouth to the oral tradition, this becomes the folklore of a society. All of these traditions, folklore and the use of stories, or oral history, can be part of a person’s heritage. Some cultures have a heritage of telling stories, while others don’t. In previous times the development of written language history could only be passed from parents to children through stories, a tradition that is still used in South Africa. Many South African cultures have storytellers who don’t only tell us what happened in the past, but also teach us values, morals and how to live in our world and behave towards other people by using stories. Oral history is also used to gather eyewitness accounts of historical events and time periods. Traditional folk music and tales told by storytellers can be recorded on audio tapes and videos. It is important to use many sources or people when recording oral histories, to see where they agree and disagree. Gcina Mhlope does not only tell stories. She dances, sings and acts out the different characters to explain her stories and the message she wants to get across. Her stories can be about fairies or legends and heroes, but she also teaches people about politics and values. Gcina comes from a mixed family and was born in KwaZulu Natal. Her father was Zulu and her mother Xhosa. This means that she grew up with two cultures. 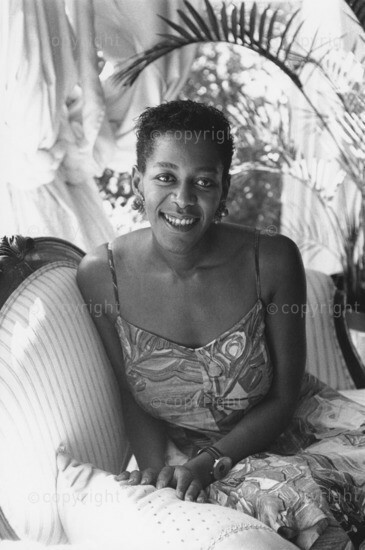 When she was 17 years old she met an imbongi, or traditional African poet and singer, and decided that she wanted to become a storyteller. 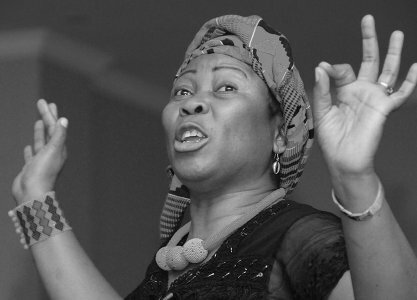 Gcina has traveled all over the world to tell her stories and even appears on South African children’s television sometimes. She tells her stories either in English, Zulu or Xhosa, so more people can understand her. Gcina lives in Johannesburg and used to be a journalist, but also acted on stage in plays. She has been honoured by the University of London and The University of Natal for her contribution to South African heritage. How to interview a member of your community? People are among the best sources of information about the past. By asking someone about their memories of the past we find out how they lived, where they lived and what life was like for that person. This also gives us an idea of what the country was like during a particular time. How is oral history passed from generation to generation? Why do some historians feel that oral history is not a good source to use when researching the past? Who is the woman in the picture on this page? Why is she an important South African? If you are trying to find information on a special event you could interview more than one person. You must remember that every person has his or her own opinion and that you need different views to get an idea of what happened. There are two different types of interviews. The first is a structured or planned interview. It is very simple because you use a set of questions that you have written out for the interviews. The second is called an unstructured or in-depth interview. In this type of interview you don’t have a set of questions. The interview is more like a chat and you make your questions as you go along according to what the person tells you. When you interview someone in your community you can use both types of interviewing. It is always important to be prepared by having a set of questions ready that you are sure to get some answers for and information from. However, you must also listen to your interviewee so that when anything interesting comes up you can ask more questions about this. What work do/did they do? Did you go to school? If so, where did you go for primary school and high school? Did you study after school? If so, where, and what did you study? What is your wife/husband’s name? Where did he/she come from? If so, what are their names and how old are they? SAHO is continuously developing new content for this section. Please contribute any content suggestions or lesson plans. Topics that will still be covered include; Information from pictures, Information from writing and Information from objects.